Getting accepted to UC Berkeley leaves every new student beaming with pride, but the experience of opening that congratulatory letter (or email, nowadays) as a transfer student can have an extra bit of sweetness to it. Many transfer students had to balance school with other threads deeply intertwined within their lives: working, taking care of family, serving in the military, figuring out their path to achieve their newly discovered dream. With these differences in mind, being a newly admitted transfer student can also be filled with fears both similar and different to those of our freshman friends. Here to help put some of those racing thoughts at ease, we at the Clog have decided to give some top tips and words of wisdom to those coming in as transfer students. The first thought on most people’s minds when arriving to UC Berkeley revolves around forming some sort of support group. Whether you are excited to meet others who may have similar backgrounds or are anxious about whether you’ll find your niche, there’s always going to be some added anxiety as a transfer. Many of the junior students at UC Berkeley have already been given a two-year head start to find friends. Is it even possible as a transfer to find a solid group of pals to lean on when times get tough? We are going to be honest with you — yes, this is possible! With that being said, it isn’t something that’s going to come easily. There will be times when you may feel lonely and isolated. You may look around and see other transfers bonding more than you have and feel that you missed out on some “Guide to Making Friends” meeting. But rest assured, every transfer student (along with all other students), at one point or another, struggle to find their place at UC Berkeley (even if this may not seem to be the case). The thing to remember is that making friends will come naturally. Don’t try to force yourself to relate with others because, in the end, you won’t be happy. Plus, being a transfer can actually be a bonus, as this community is a tightknit family. If you find another transfer student in one of your classes (we’re more common than you think! ), you’ll automatically have something to talk about, and a friendship may begin to bloom. 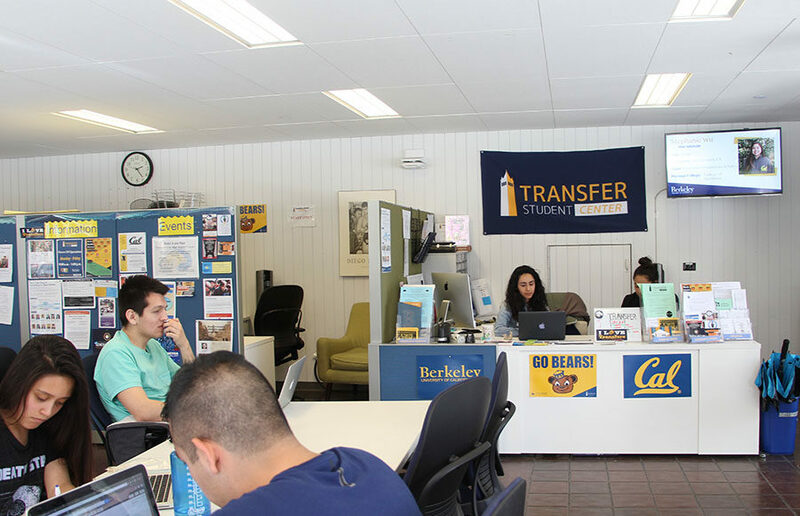 Many transfer students may take the EDU198 class that gives you all the ins and outs of UC Berkeley. While this is a very useful resource to get your bearings (no puns intended, Golden Bears), it may also leave you feeling as if you don’t have enough time to do anything at all. There are so many great options available; where do you even start? Well, for one, take a deep breath. We at the Clog understand that there are way too many things to pack into two years. Our advice? Start off the semester dabbling in different extracurricular activities. Join a few clubs; maybe even apply to some student organizations (or The Daily Californian, perhaps?). Then, find out which ones you love. It’s important, since you’re only here for two years, to only stick to the things that inspire you. By doing this, your fear of missing out will disappear, and you’ll feel like you’re utilizing your time here to the fullest. But even if you don’t find anything right away that you like, don’t forget to embrace the little things as well: walking to class, meeting someone new and even paying for laundry (it’s a stretch, we know, but all a part of the student experience nonetheless!). We don’t want to be negative nellies here, but, although there will be glowing memories of UC Berkeley you’ll treasure forever, transferring from a community college or any other university is tough. Feelings of doubt or regret may float through your thoughts. Sometimes, you may just want to call it quits and go sell some funky jewelry on Telegraph Avenue in front of Pappy’s. We at the Clog want to let you know, though, that you belong here. You’ve worked so hard to get to this point and wouldn’t have gotten accepted into UC Berkeley if you weren’t able to handle it. The coursework is a lot and the time constraint of two years can feel suffocating, but you can do it. And, we promise, if you talk to any other student about the way you feel, we can guarantee that they’ve also experienced the same anxieties. You’ll survive every all-nighter and move past the midterm you failed. It’s all a part of the college experience that will discreetly mold you into a more fierce and fabulous human being by the time graduation rolls around. So remember, transfers, embrace your experience as a transfer student and savor every moment. Along the way, you’ll inherit some lifelong friends and unforgettable experiences. Welcome to UC Berkeley, and as always, Go Bears!